like to "markdown" until Sunday, February 19th. 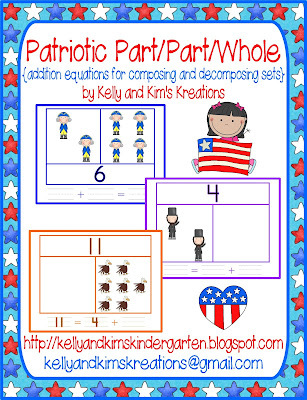 Patriotic Part-Part-Whole is a math lesson focusing on addition of sets on part-part-whole mats for composing and decomposing numbers. 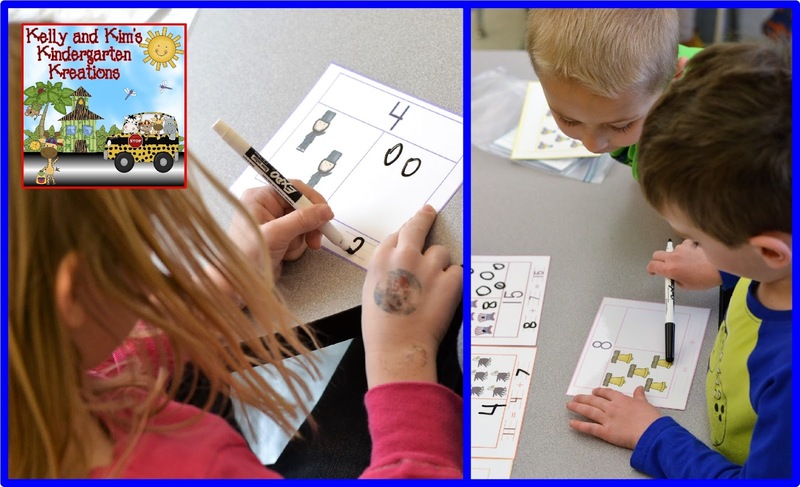 It includes practice for finding missing sums and also missing addends. We like to use part-part-whole mats to give our children a visual representation of addition equations and allow them to better understand the relationship between the whole and its parts. 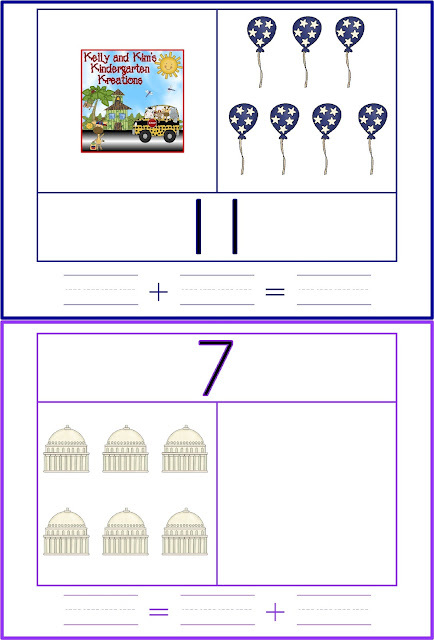 This lesson includes examples for modeling, task cards for small cooperative groups, and an individual assessment also! 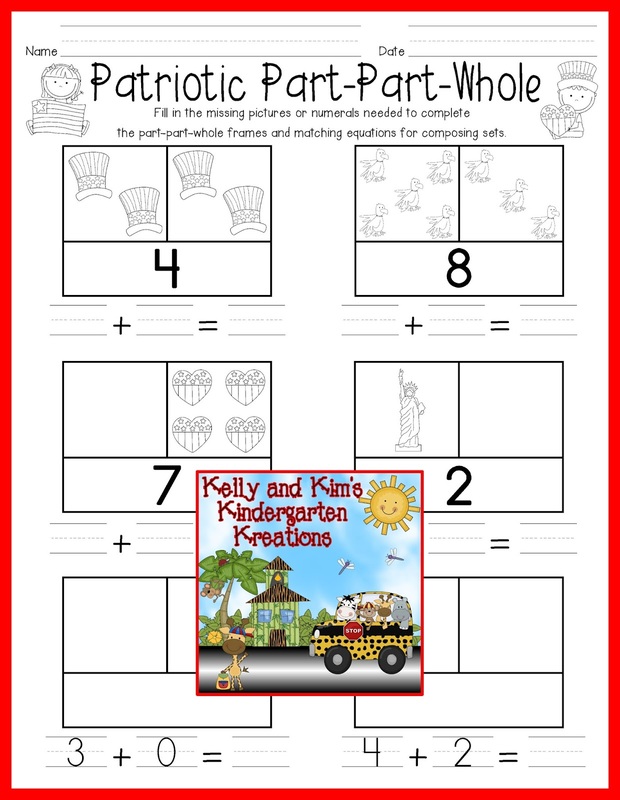 We have included several examples for you to introduce or review how part-part-whole frames help to show addition equations. 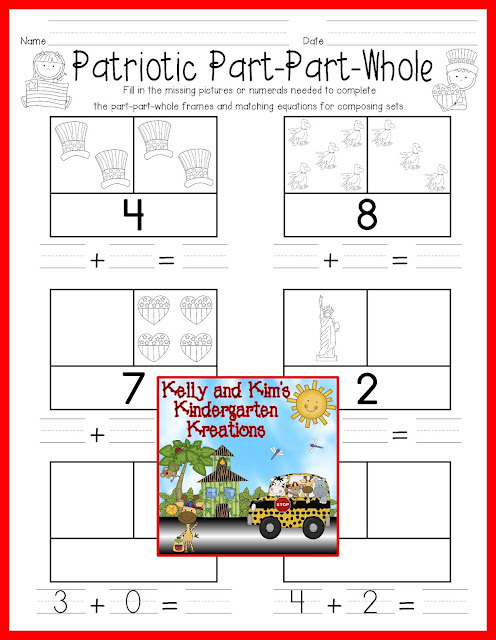 Discuss the whole and its parts, making sure the “whole” matches the total number of counters in each “part.” We have included several examples of composing and decomposing for you to model and work through with your students. 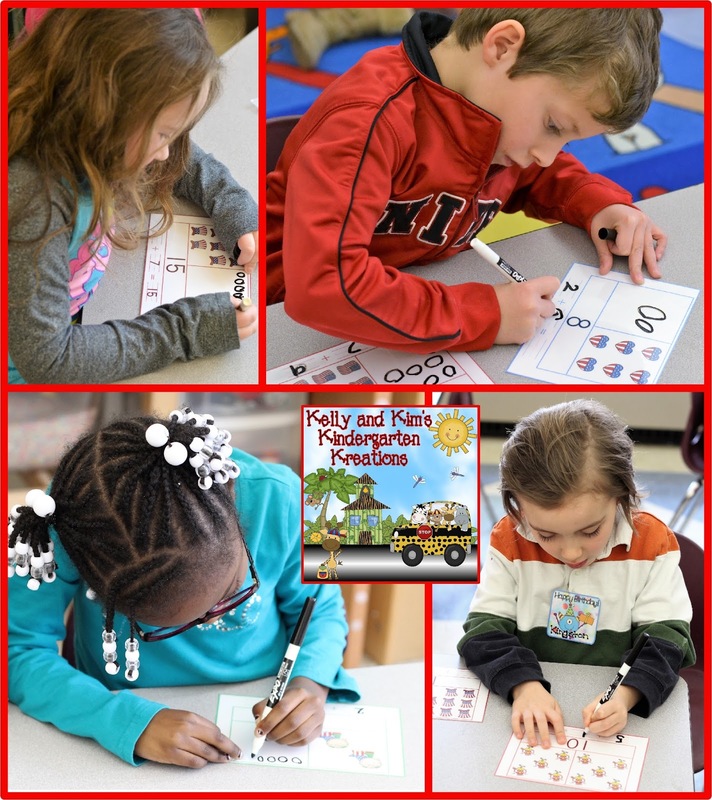 Children will work together to use the information given on each part-part-whole mat to fill in anything that may be missing. Some of these mats have the equation missing, while others have the whole or parts missing, etc. They will make your students think!! Children will work cooperatively, taking turns and helping one another by counting sets, counting on, adding, writing number sentences, and more. We love to see their little minds at work helping each other. We have also included an individual assessment for you to use to check for children's understanding. Thank you for visiting our blog today! We hope everyone has a great week and Happy Valentine's Day! !